We have agreed terms with KontrollTechnik Germany to have the sole UK licence for their SLOFEC technology in the UK. 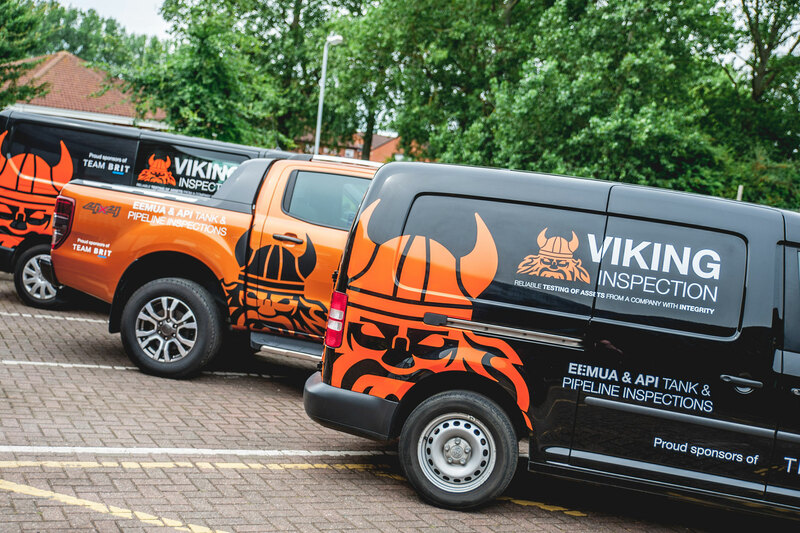 Viking already offer EEMUA and API standard inspections of tanks, vessels and pipelines but are pleased to be able to offer their customers an even greater range of inspection services. KontrollTechnik is a German company performing eddy current inspection services since 1977. The result of this long experience is its know-how and competence in eddy current technology and job enforcement. This competence is featured by KTN’s steady efforts in research and development of state of the art of testing procedures and equipment. Their inspection equipment uses only the latest generation of computer integrated TMT eddyMax® eddy current data acquisition and signal processing systems. The SLOFEC inspection system is based on this eddy current principle with superimposed DC field magnetization. With this system objects with up to 25 mm wall thickness and coating up to 10 mm are testable, depending on the scanner type. For tank operators this can mean that grit blasting is not required – often a high pressure water jet will suffice, saving time and money in preparatory tank cleaning. The remote scanner was designed for the scanning of storage tanks with installations (e.g. heating coils) and tank roof without access-authorization. The advantage for tank operators is that there is no need to disassemble installation or heating coils before the tank inspection. Viking will be able to offer SLOFEC technology to its customers from January 2019.